DUBAI, U.A.E., 27 September 2017: Emirates clinched the Passenger Choice award for Best Entertainment at the 2017 APEX Passenger Choice Awards held in Long Beach, California, USA this week. Emirates’ president, Sir Tim Clark, was honoured with the CEO Lifetime Achievement Award. The airline also won Best Original Video for its Welcome to ice product video and was given a Five-Star Global Airline Official Airline Rating, the highest rating in the first airline rating program based solely on verified and certified passenger feedback. Emirates has been at the forefront of innovation with its inflight entertainment system, ice. It was the first airline to install in-seat personal screens in every class of service 25 years ago and continues to enhance its product for a superior inflight experience. Today, ice features over 2,500 channels of entertainment, including the latest movies from around the world in over 30 languages, numerous award-winning TV box sets, a huge music collection and over 100 games. In the last year, over 10% more entertainment has been added including more varied content giving customers more choices than ever. 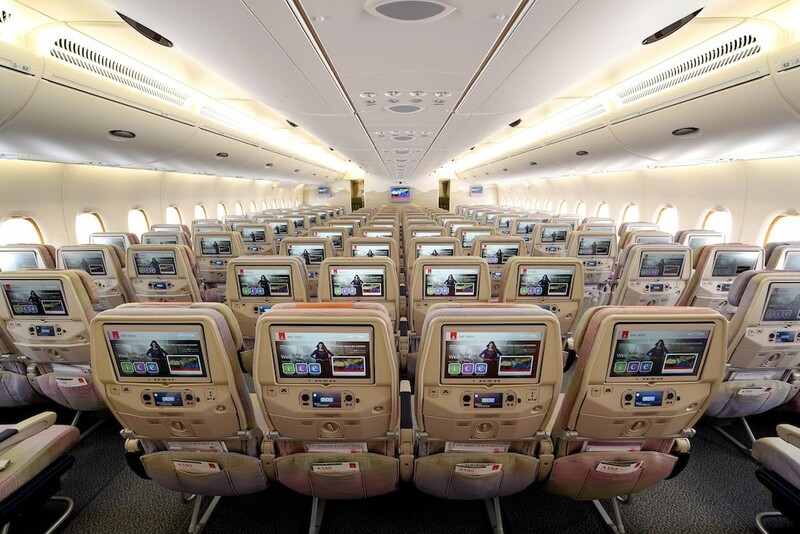 Emirates has invested heavily in connectivity and Live TV on board – today 138 aircraft offer Live TV, including 18 A380s. Wi-Fi connectivity is available on 90% of the fleet with more being upgraded each month. Emirates offers customers across all classes 20MB of free Wi-Fi data and each month over 800,000 passengers connect while inflight. As part of its recent expansion of the Wi-Fi offering on board, Emirates Skywards members enjoy special benefits depending on membership tier and class of travel. SITAONAIR, which delivers the personalized inflight connectivity experience onboard Emirates, was awarded Best Personalization Innovation at the APEX awards. Sir Tim Clark received the coveted CEO Lifetime Achievement Award marking 45-years of dedicated service to the airline industry. Sir Tim Clark joined the founding team of Emirates in 1985 as the head of airline planning and has led Emirates to become the world’s largest international airline with an unmatched customer experience both on the ground, and in the air. The award is reserved for industry leaders who have dedicated their lives to the enhancement of the passenger experience through long-term efforts, dedication, and sustained commitment. The Passenger Choice Awards, created by the Airline Passenger Experience Association (APEX), invites air travellers from around the world to rate their recent in-flight experiences. More than 500,000 flights were rated by passengers from around the world between 24 October 2016 and 31 July 2017 culminating in this year’s awards.